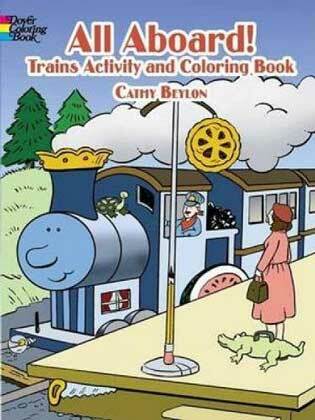 If you’re looking for a fun book about trains, choo-choo-choose this one! Ride the rails with 25 pages of simple brainteasers, including hidden pictures, crosswords, and connect-the-dots — they ALL feature trains! You’ll find a train circling a Christmas tree, a weird railroad station with things not as they should be, a caboose rattling along the tracks WITHOUT an engine, and much more.